Often referred to as the “Empress of Soul”, American singer-songwriter, entrepreneur and humanitarian Gladys Knight was one of the most adored soul singers of the 1960s and 1970s. Her remarkable, hit-laden career has spanned more than four decades. Her stunning voice produced classics for both the Motown and Buddah Records labels. 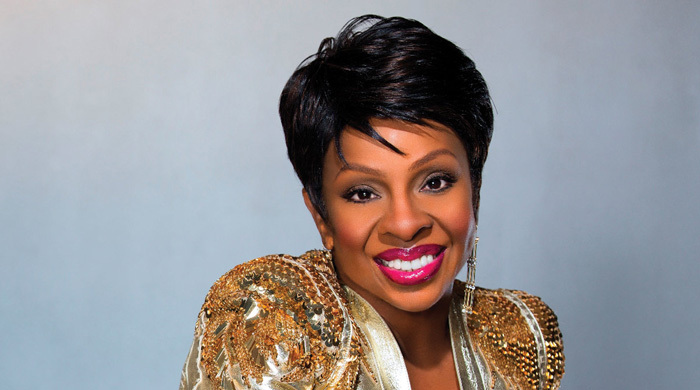 Born “Gladys Maria Knight” in Atlanta, Georgia in 1944 into a poor household, her father was a postal worker. Knight showed an interest in music from a very early age. She had her first breakthrough at the age of 7 when she won Ted Mack’s Original Amateur Hour TV talent contest. Gladys Knight rose to prominence as the lead singer of the Pips. The group also included her brother Merald “Bubba” Knight, and their cousins Edward Patten and William Guest. Gladys Knight & the Pips scored a series of highly successful hit singles on Motown’s “Soul” record label and Buddah Records from 1967 to 1975. A few of them include “I Heard It Through the Grapevine” (1967), “Midnight Train to Georgia” (1973), and “Baby Don’t Change Your Mind” (1977). The group enjoyed consistent success on the R&B charts until the late 1980s. Knight and the Pips recorded the LP Visions in 1983, which was certified gold and spawned the #1 R&B hit “Save the Overtime (For Me)”. The group’s final album All Our Love was released on MCA Records which was also certified gold. Knight’s gritty gospel voice is considered by many to be one of the greatest voices ever recorded. Gladys Knight has won numerous awards and accolades in her career, including seven Grammys, Soul Train Music Awards Lifetime Achievement Award, BET Lifetime Achievement Award, NAACP Image Award for Outstanding Jazz Artist, and a star on the Hollywood Walk of Fame. She was inducted into the Georgia Music Hall of Fame (1989) and the Rock and Roll Hall of Fame (1996). Gladys Knight has been married four times: to James Newman (1960-1973), Barry Hankerson (1974-1981), Les Brown (1995-1997), and William McDowell (2001-present). She has three children and sixteen grandchildren.